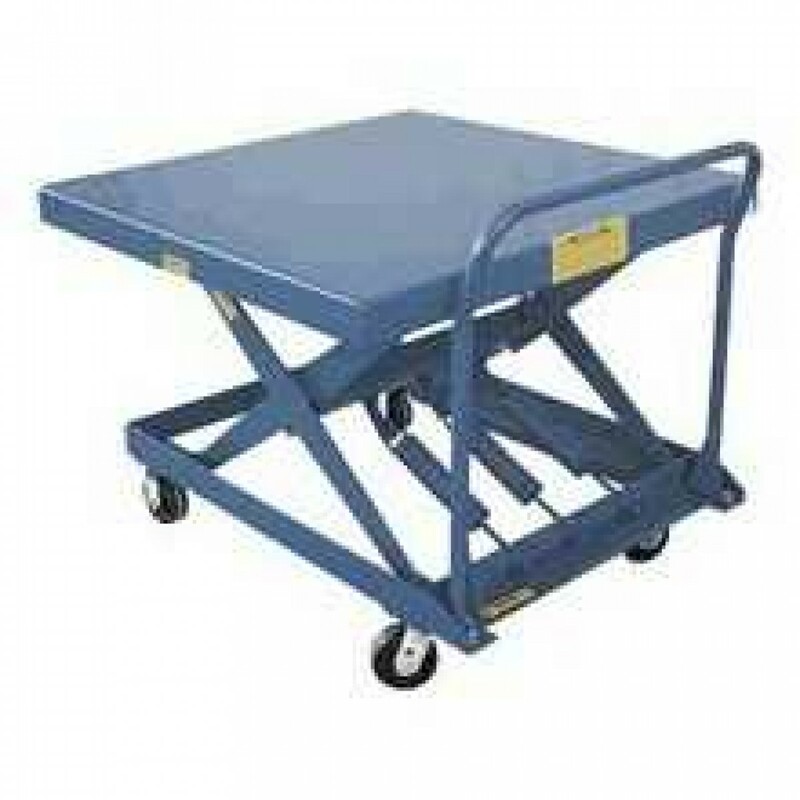 Lift loads of up to 1000 lbs with this ergonomic scissor cart featuring a 42" x 42" platform. Great for warehouse and manufacturing operations. With the Vestil SCSC-1000-4242 Auto-Hite Scissor Cart materials are easily loaded and unloaded by raising or lowering the cart.